Thanks for stopping by! 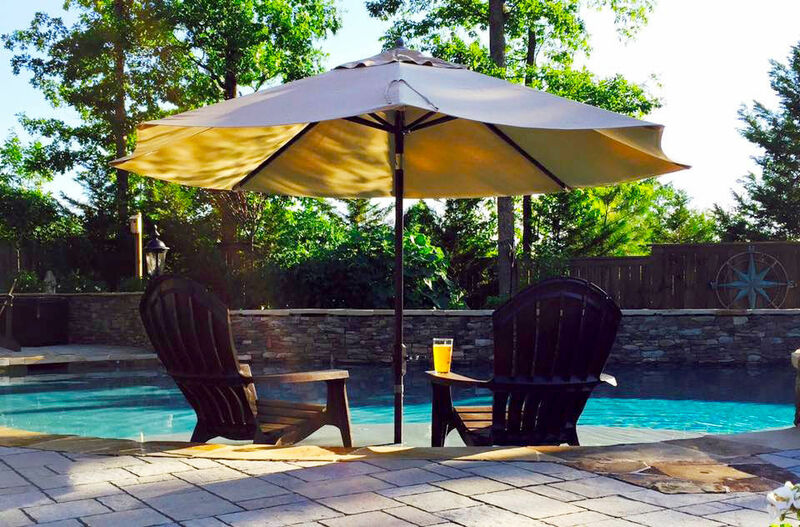 We hope you enjoy looking through the Gallery of beautiful custom pools and outdoor living areas that we have built throughout Cary, Chapel Hill, Durham, Raleigh and the surrounding areas of North Caroline. Everyone at Carolina Custom Pools and Landscape works hard to transform your backyard into everything you hope for and more. Our process begins with a complimentary custom pool design that you can view in 3D Live Action. We can take you swimming in your new custom pool without even getting wet! Love it? Great! We can get to work BUILDING your one of a kind pool to your exact specifications. In a few short months, you will be swimming in a SPECTACULAR custom swimming pool and relaxing in the outdoor living space of your dreams. To get started, please visit our contact page and make an appointment. We design and build custom residential concrete swimming pools. Have an existing pool due for an update? We are happy to provide renovations. From elegant pools and spas with water features to contemporary pools with a vanishing edge; we are only limited by your imagination. Transform your backyard into a custom outdoor living space to be enjoyed all year. Want to spend your next special occasion cooking an amazing meal in your outdoor kitchen? 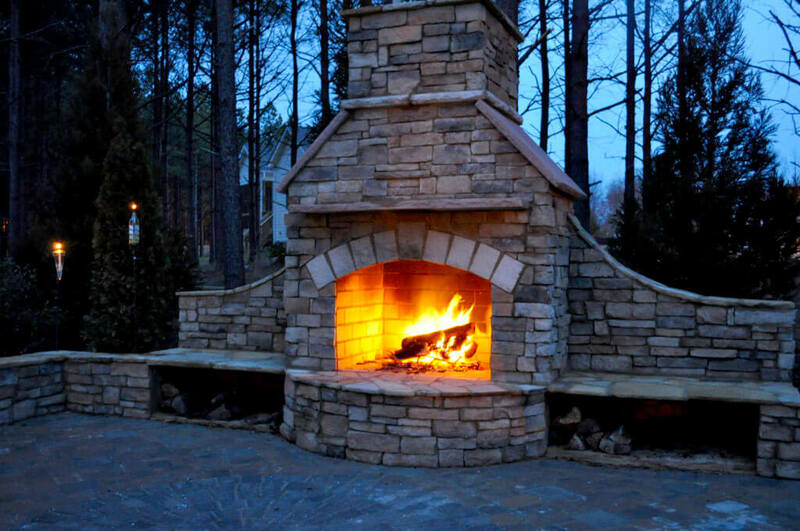 Or look forward to cozying up by your custom fireplace / fire pit with loved ones? We can help you achieve those dreams. You can’t have your dream pool without the perfect landscape and decking to tie it all together. 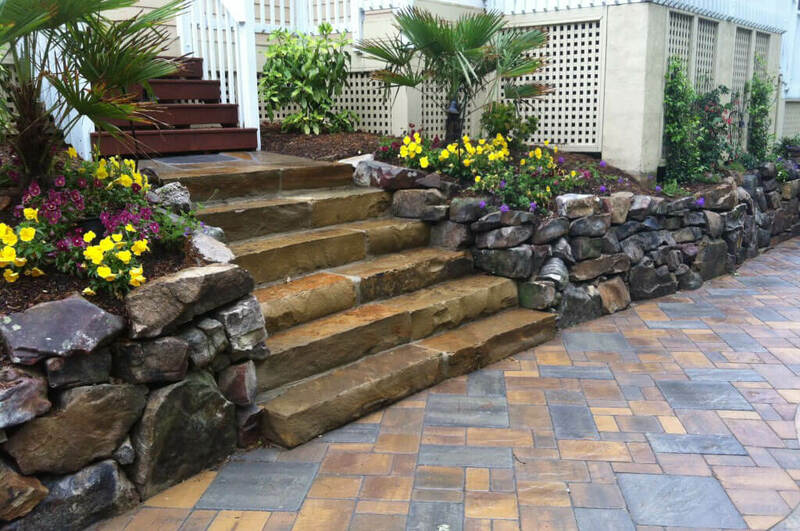 We can build you a custom natural stone patio that will make your pool blend into its surroundings. Or design an oasis of beautiful plants to bring your outdoor space to life. We are now offering complete custom pool design “bid packages” that you can use to shop and interview potential builders in your area. We can also provide On Site consulting and advocate supervision for you while your custom pool is being built. Ready to talk about your complimentary custom pool design? Are you a builder or architect? 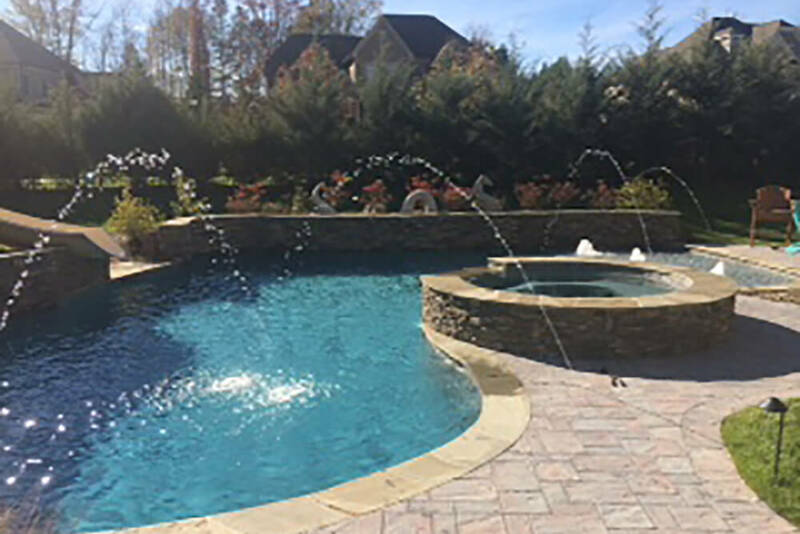 Let Carolina Custom Pool Design provide you with a complete backyard living and poolscape design for your project. Carolina Custom pools. An absolute joy to work with. I have already given your business card and brochure to people I work with and others. It has been wonderful working with all the team associated with Carolina Custom pools. The renovation looks great and we are enjoying the pool every day. Thanks also for the assistance you have provided after the job has been completed. We have received many complements from our friends and family on the quality of workmanship your team provided. Thank you very much.